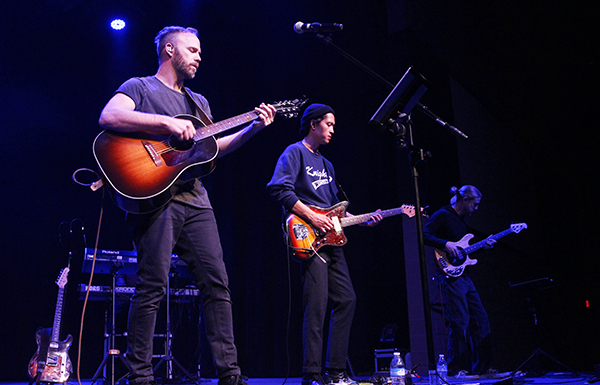 Calvary Baptist Church’s Worship Pastor Jesse Pruett celebrated the release of his newest solo album, “The Journey,” with a packed house at the church Feb. 23. 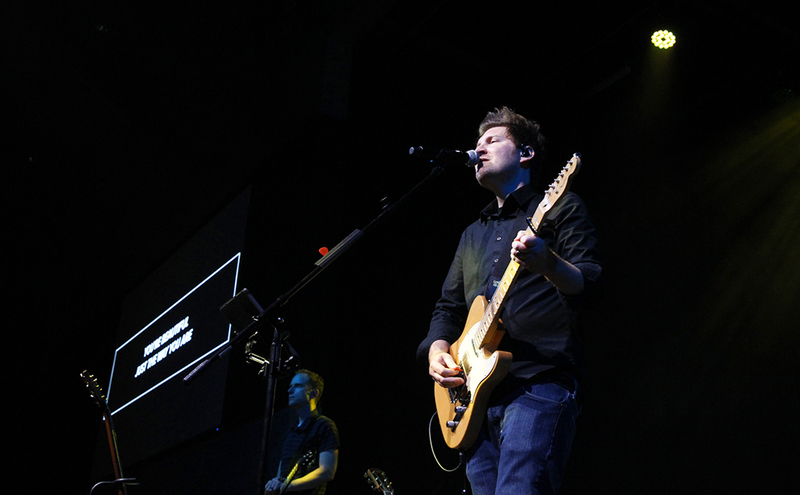 Pruett, who is also a musician, actor, composer, songwriter and producer, has been part of the Calvary team for almost six years. 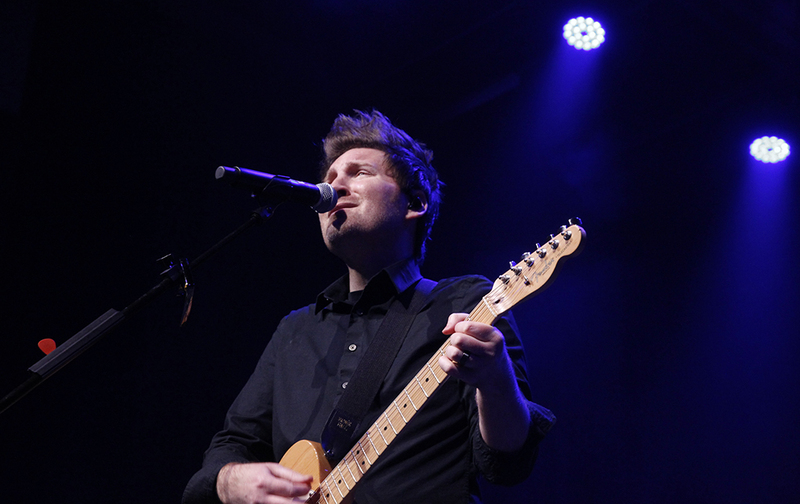 “The Journey” is Pruett’s second solo album, but he has previously released six albums with his band Parker Theory and a few other albums with earlier projects. At the CD release party and concert on Feb. 23, Joseph Pfeifer kicked off the evening with a short solo set, followed by Pruett and an eight-piece band with several additional string-playing guests. “My good friend Joseph Pfeifer who also now works at Calvary wrote many of the songs with me … the album features most of the players that were there [at the release party],” Pruett said. “The guitarist Joseph Pfeifer who also opened the night with his original music, drummer Jarrod Alexander, guitarist Jonathan Hall, singer Lara Saucier, and cello/bass player Danny Weidner. The other players, Ben Messer, LD Lumpkin and Jeanne Weidner are on the worship team at Calvary. Anna Scherzer joined us as a guest on cello. Even with the new album out, Pruett shows no signs of slowing down. He said he has several new projects coming up that involve many of his talents and endeavors. 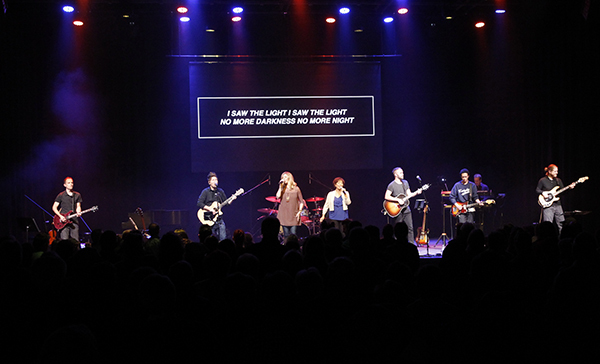 “It’s been an exciting season at church and creatively,” Pruett said. “I just finished filming two projects with Sylvester Stallone – ‘Backtrace’ [and] ‘Escape Plan 3’ – and another with Bruce Willis called ‘Reprisal.’ One of the songs from the new album called ‘Beautiful’ was recently picked up for the new Lionsgate release of ‘Pinocchio’ set to be released in April. I fly to Nashville next week for a conference called NRB where my publicist Lynn McCain and her team have set up interviews [to promote] ‘The Journey.’ After that I will be gearing up for our Passion Experience and Easter services at Calvary. “The Journey” can be purchased on CD at Calvary Baptist Church, 3100 Sweetwater Ave. in Lake Havasu City. It will be available for download through iTunes, Spotify, Amazon and most digital outlets on the official album release date, March 9. For more information about Pruett and “The Journey,” visit https://www.jessepruett.com.